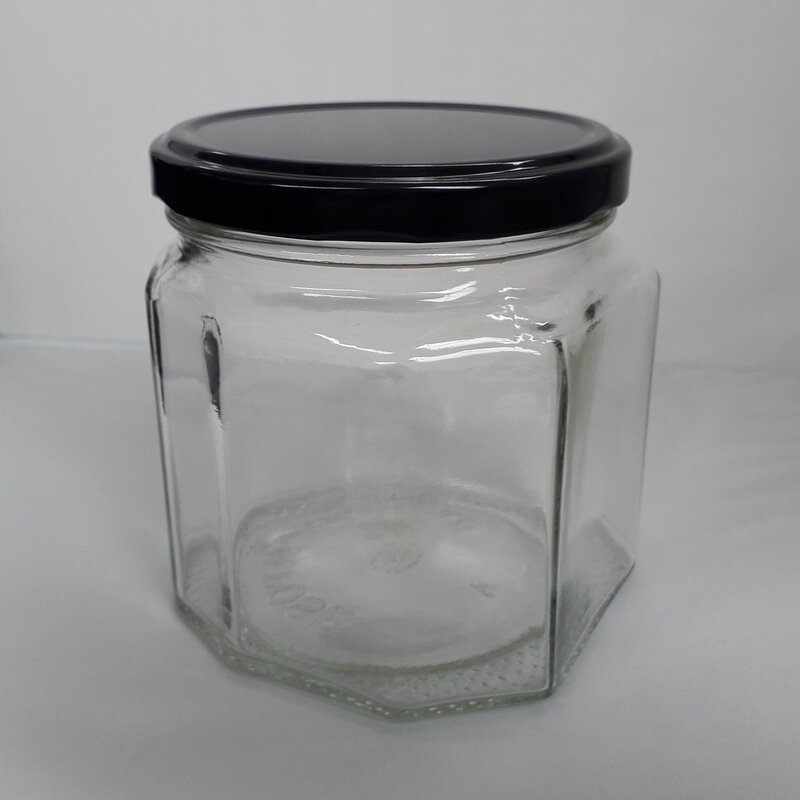 The 440ml Hexagonal style jars with flat backs are made from high quality food grade glass, this jar is designed to sit flat backed on a shelf, the iconic wide neck jar is easy to handle and a perfect size for all sorts of uses. These glass jars are the perfect way to present your jams, chutneys, marmalade's and small baked goods like cookies, candles also look fabulous presented in these jars too. Size 95mm high (inc. lid).